← HIGHLY RECOMMENDED: A book! “Judgment of Paris” by George M. Taber. Around this time of the year, like car dealers and their new models, wine stores start to carry the newer releases of many wines. Because of this phenomenon and my own carelessness, this week we experienced two fails, and learned some valuable lessons. In the past, I’ve sung the praises of the 2009 Meiomi Pinot Noir (http://www.thefrugalwinesnob.com/?p=279) and I still do. However, last week, our local wine shop was out of the 2009 Meiomi, so I bought a bottle of the 2010 as one of the assortment of wines to accompany our Thanksgiving dinner. Mistake! The 2010 was okay, but nowhere near as wonderful as the 2009 was. Fortunately, the 2009 is still available online for $16.99 and up. Lesson learned: The time to sample a new wine (including an unfamiliar vintage of a favorite) is at a wine tasting, or in private, not at our dinner party for a dozen cherished family members when we had carefully pre-selected several of our favorite wines from the last year for our dinner. Additional recommendation: When a wine shop offers you TWO of a wine you’ve never tried, or a magazine or blogger (even me!) 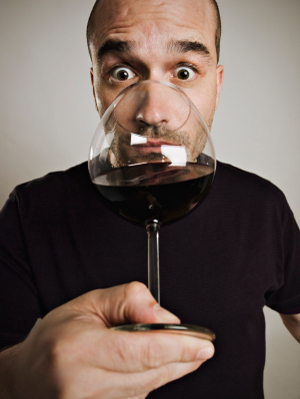 recommends a wine you’ve never tried, buy just ONE bottle and try it yourself. It’s easier to go back for more if you like it, than to schlep it back for a refund if you don’t. This entry was posted in Tastings, Technical Stuff, Tips. Bookmark the permalink.